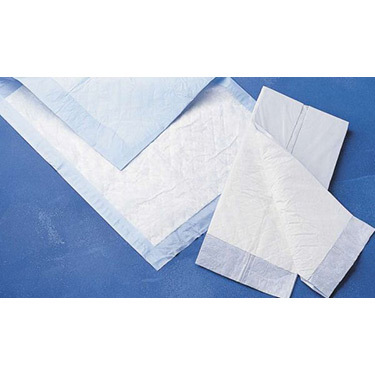 These light-absorbency, economy-weight underpads are fluff-filled to control fluid leaks. The additional embossed polypropylene backing controls slipping to reduce leakage on the patient or the bedding. These pads are available in cases only. There is a wide variety of sizes and weights to meet every budget and need.